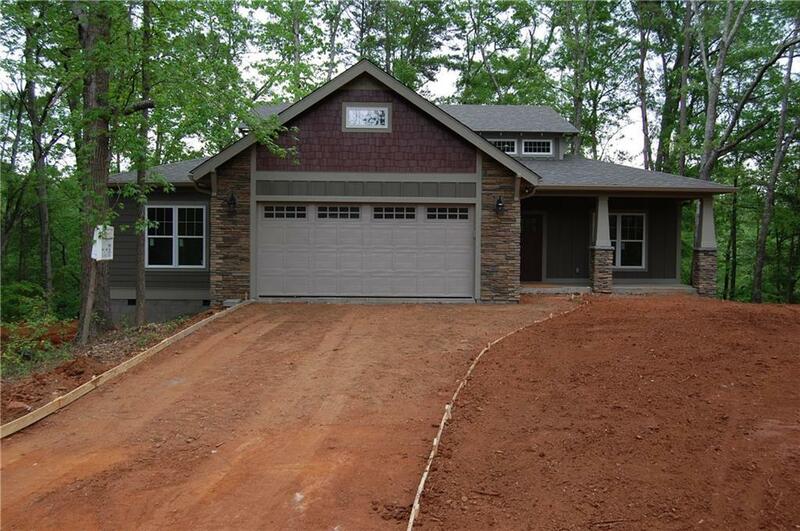 Beautiful, new construction, craftsman style home...in the country! Enjoy morning coffee while hearing the creek from your secluded and private deck. The large windows are along the entire back of the house allowing you to enjoy the creek from inside your home as well. Artfully painted to complement the gorgeous tiled kitchen and to enhance the Acacia hardwoods. This home is on a large 2 acre, unrestricted lot so the new owner is able to have unlimited choices for useage. The 4 bedrooms are oversized, with big windows optimizing the views from any room. The kitchen has an oversized granite bar, soft close cabinets, and stainless steel appliances. Stone accents complete the numerous details at the garage entrance and for a custom entrance to this spectacular home. Forrest Home Builders are know for custom touches, attention to quaility details and a home built to last for generations. This home is close to Pendleton, minutes from the new Arthrex location, and close to Michelin.